How to Invest in Colombia? The Colombian British Chamber of Commerce promotes the benefits of trade and investment between Colombia and the United Kingdom, and has great pride to introduce you to one of the most biodiverse countries in the world: Colombia. Located in South America with a surface of 1.14 million km², larger than France and Germany combined; Colombia’s … More Introduction to Colombia! Leave a comment Introduction to Colombia! The answer is Colombia – 6 reasons to be proud! As you may have heard, Latin people tend to be very proud of where they are from on all scales, from their neighborhood or village to the whole continent … But if you have met any Colombians, you will know this pride is one of the strongest you will ever meet. There are very slight chances … More The answer is Colombia – 6 reasons to be proud! Leave a comment The answer is Colombia – 6 reasons to be proud! England, Great Britain, UK … What’s the difference ?? England, Great Britain, the United Kingdom … These words are used in our everyday lives to talk about the “land of the Britons”. However, most of the time, each one of these is used unaccordingly and this can bring some citizens quite some frustration. So let’s take a look at the differences between all of these. The … More England, Great Britain, UK … What’s the difference ?? Leave a comment England, Great Britain, UK … What’s the difference ?? 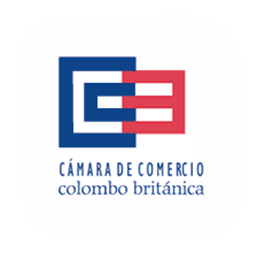 The Colombian British Chamber of Commerce is happy (and proud!!) to start its brand new blog. We hope you have a great time reading! Leave a comment Hello World!